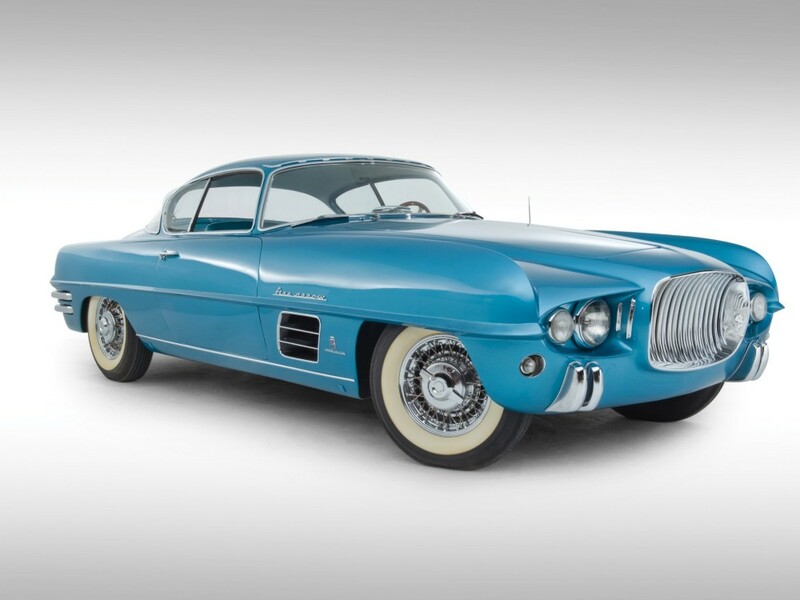 The Dodge Firearrow was Italian-American. Ghia coach-built the car. Their craftsmanship was second to none. Resplendent in red - and sporting a polished metal belt-line - the Firearrow was an elegant, well-proportioned product. Virgil Exner was chief stylist for the Firearrow. He - and his Chrysler colleagues - came up with a clean and tidy design. Restrained, and tastefully-placed lines were the backdrop for a plethora of neat features. The way the bodywork overhung the wheels was a sweet touch. Inside, the wooden steering wheel bespoke class. Twin seats were sumptuously upholstered. A V8 engine oozed power. 152bhp shot the Firearrow III coupé to 143mph. The Firearrow's 'show car' timeline was a long one. It started out as a mock-up. That was followed by a working prototype. Decked out in yellow - and with wire wheels - it featured in the '54 'Harmony on Wheels' extravaganza. After that - along with the coupé - came the Firearrow and Firebomb convertibles. They were designed simply to whack a bit of 'wow factor' back into the Dodge brand. But so big a hit were they with show-goers, that a limited production run was soon mooted. Detroit's 'Dual Motors' privately funded it. 117 Firebomb replicas were built. They went under the name of the Dual-Ghia. Virgil Exner's feverish work ethic had paid off. The Dodge brand had been given a much-needed makeover. And the Firearrow had become a star in its own right!